IRVINE, Calif., July 25, 2017 – Advantage Systems, a provider of accounting and financial management tools for the mortgage industry, announced today that its third annual user conference for AMB and ApprovalSoft users was a resounding success. The conference was held June 22-23, 2017, at the Balboa Bay Resort in Newport Beach, California. The Balboa Bay Resort was booked to capacity because of the high conference attendance. 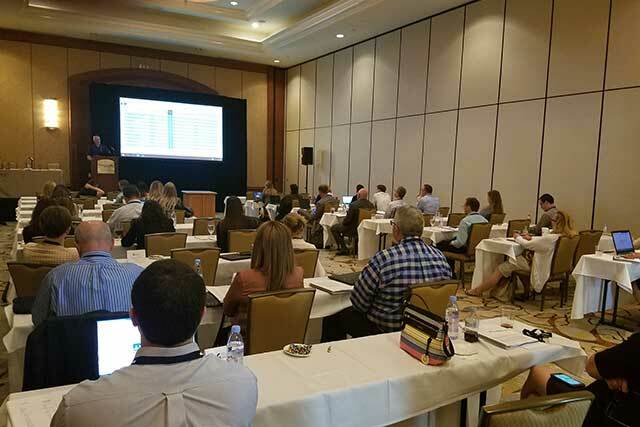 Advantage Systems’ annual user conference enhances current users’ knowledge of the company’s flagship AMB, accounting system, designed for the mortgage industry and ApprovalSoft, designed to manage the approval of just about anything. Conference attendees participate in various sessions to gather insight on how to better utilize these tools, ensuring that Advantage System’s solutions address all user needs. Session topics included: comprehensive use of AMB’s dashboard features; advanced reporting capabilities; tips for calculating complex commissions; and best practices when using specific functionality within AMB. This year, Advantage Systems added a session focused on hedge accounting, featuring industry experts: Phil Rasori from Mortgage Capital Trading and Jennifer Hannah from Richey May and Company. Jared Huff from Alight Mortgage Solutions and Eric Gallagher from KSJG also presented on budgeting and forecasting. Next year’s conference will also be held in June in Newport Beach.